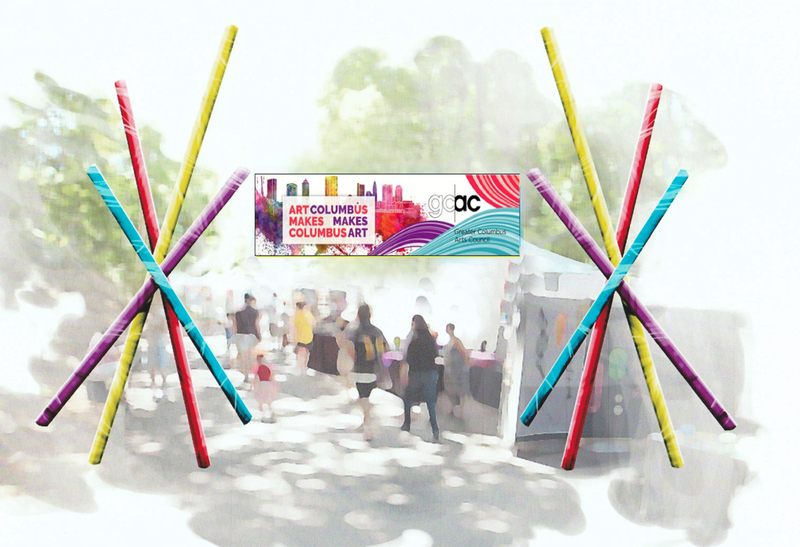 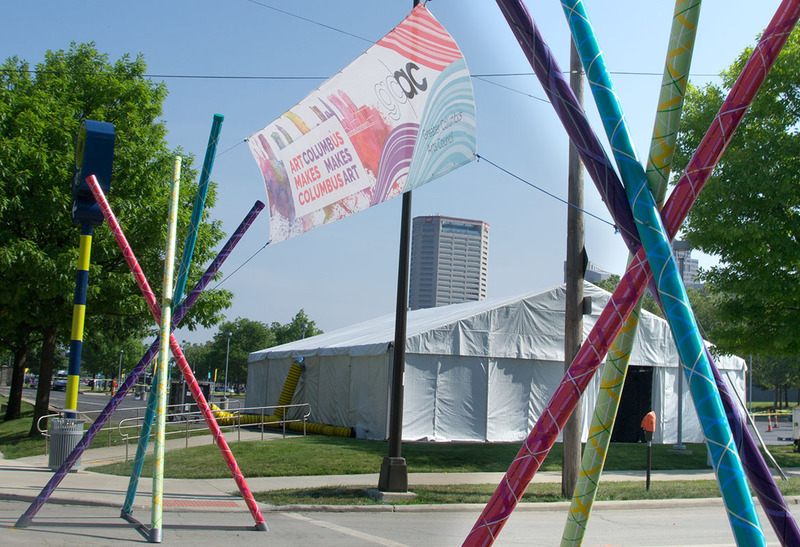 Curtis Elliott Designs Ltd worked with the Greater Columbus Arts Council (GCAC) to create the colorful entrances and the promotional tent for the 2015 Columbus Arts Festival. 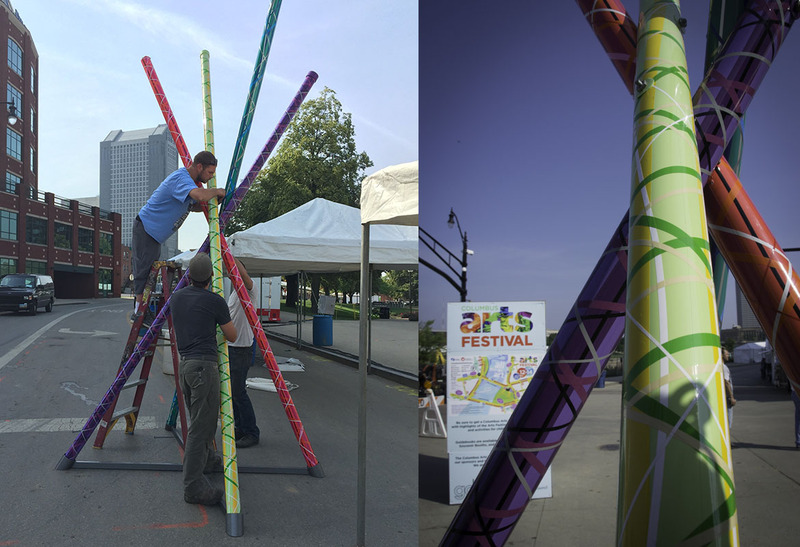 The concept was to make giant "pixie sticks" as long as 18 feet, arranged into teepee-like structures that could stand without additional support and allow for the rigging of entrance banners between them. 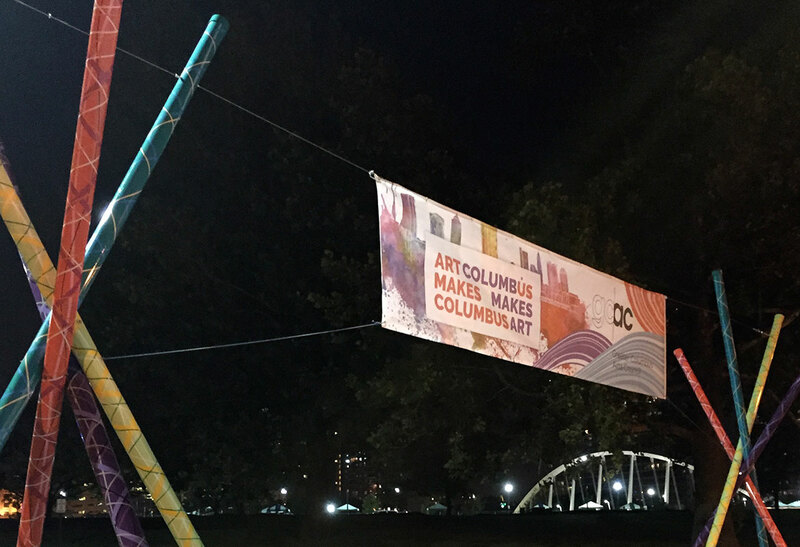 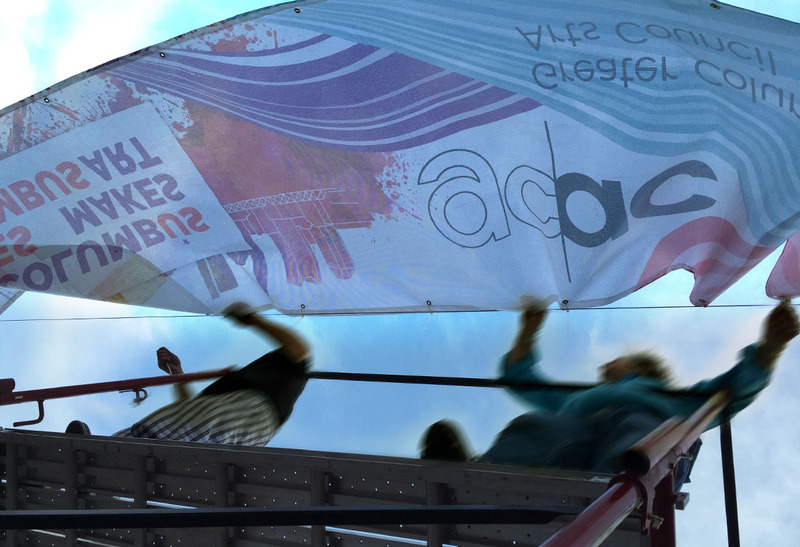 Bad weather had plagued some previous arts fests, so the GCAC challenged us to make the structures and banners withstand high winds should it occur. 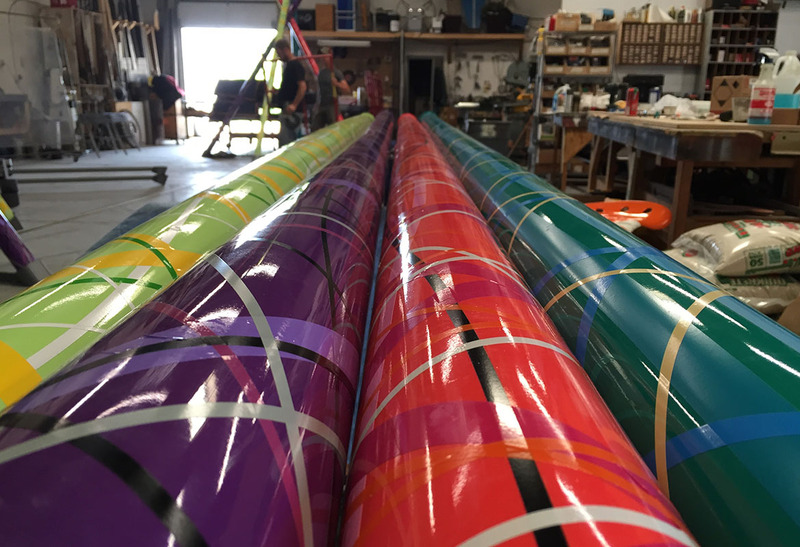 CURTIS ELLIOTT DESIGNS Ltd has been designing and fabricating for Film, Television, Photography, Corporate Events, Museums and Interiors for over 25 years. 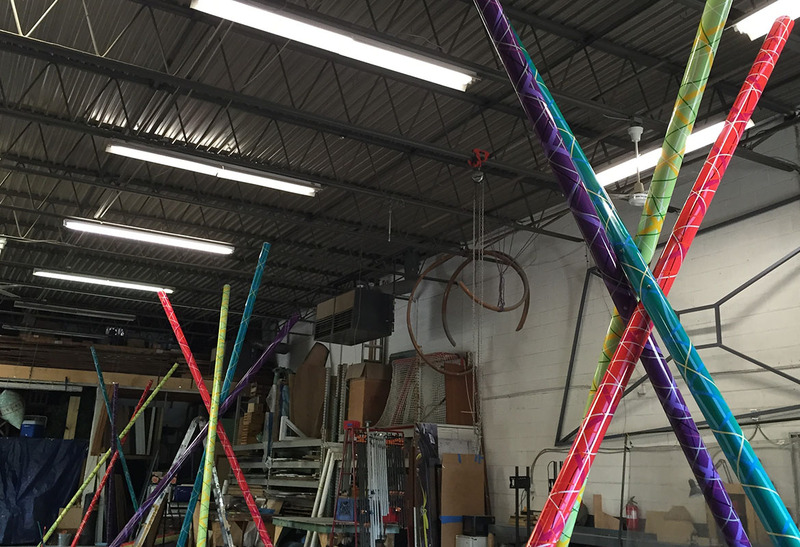 Our diverse and talented production team can design, build, weld, assemble, paint and install virtually any project. 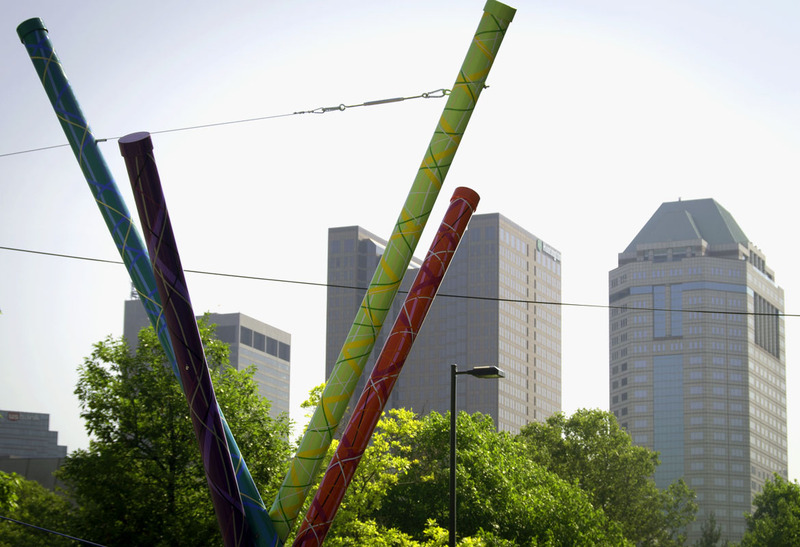 We've earned the trust of a long list of valued and loyal clients and we would love to speak with you about your next project. 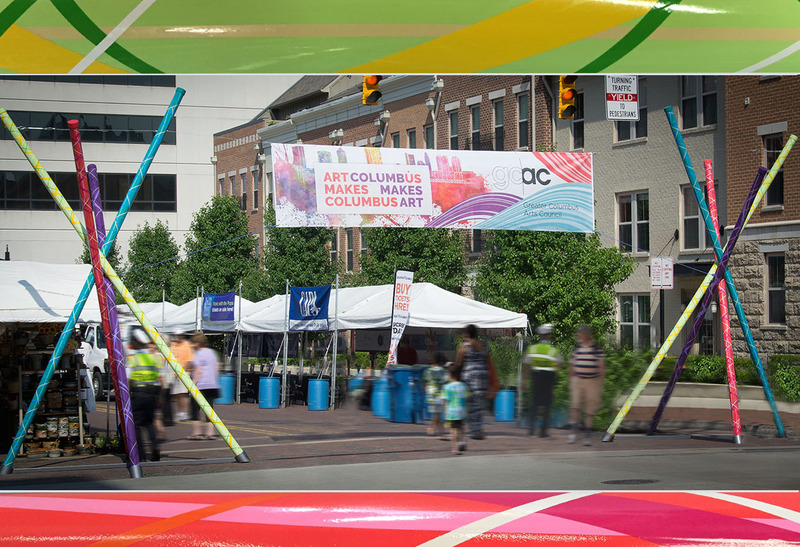 Please contact us regarding any needs or questions you may have. 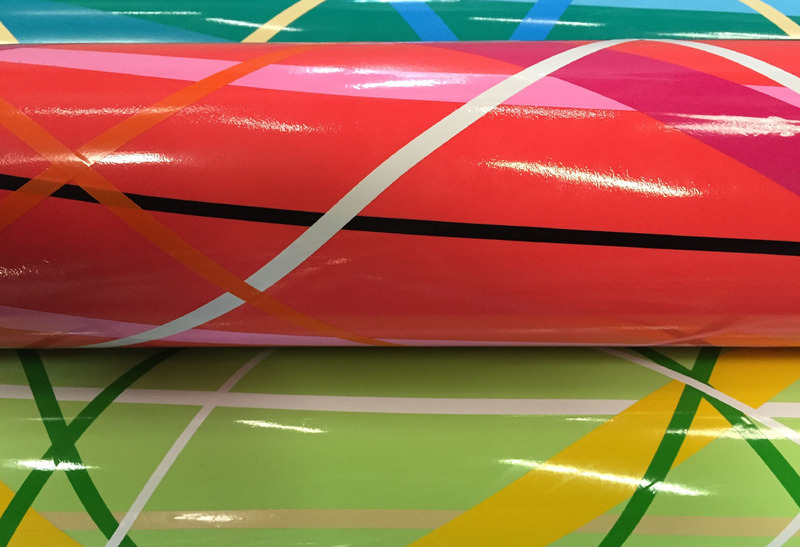 © 2019 CURTIS ELLIOTT DESIGNS LTD. All rights reserved.